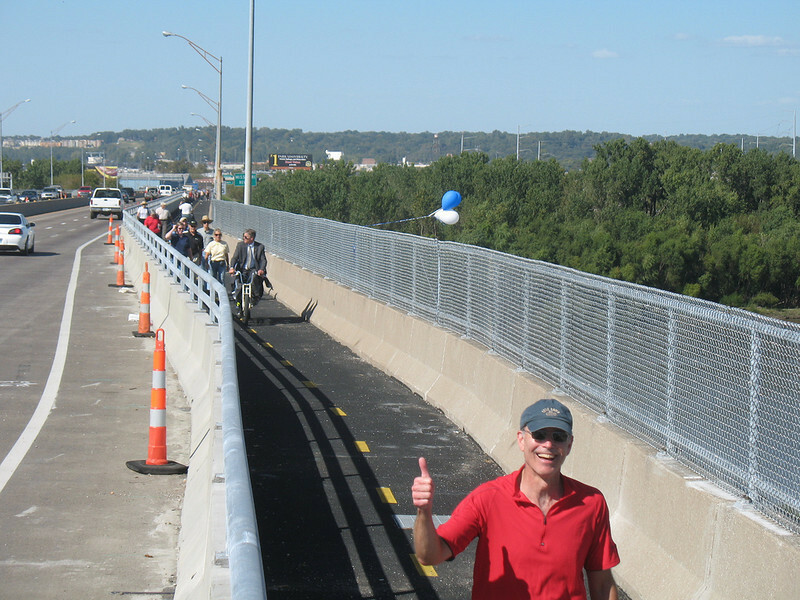 The Heart of America Bridge became the first bridge in the Kansas City region to offer a safe, barrier-separated, and efficient way to cross the Missouri River on bicycle or foot. The shoulder of the northbound side of the bridge was retrofitted to include a mile long two-way path which runs from E. 3rd Street to 10th Avenue. When the Missouri Department of Transportation conducted a bike/pedestrian feasibility study as part of the I-29/35 environmental impact statement, the Heart of America Bridge was identified as an alternative route to move bicyclists across the river. The path officially opened in October of 2010, two years earlier than planned thanks to the availability of American Recovery and Reinvestment Act funding. The category 1 project used $2.42 million in Transportation Enhancements funding to complete the project.